If you’re an off-road speed demon, hunting enthusiast, or a nature lover, start planning your next vacation to Ozona. This quaint town, nestled among the limestone bluffs and rolling hills on the western edge of the Hill Country, offers hundreds of acres of untouched terrain perfect for any type of outdoor adventure. There’s also the ruins of a historic 19th-century frontier fort to explore, and all the shops, restaurants, and sites to discover in town. Read on to see many of the attractions in Ozona that you can check out when during your next visit. Crockett County’s courthouse is an eye-catching structure that has been the heart of Ozona since it was built in 1902. Its rough limestone walls, Roman-style pediments and columns, and mansard-roofed tower make the courthouse stand out. The building, listed in both the U.S. National Register of Historic Places and the Recorded Texas Historic Landmarks, is still used as a courthouse to this day. The rolling hills and scenic valleys that surround Ozona are home to an astounding variety of plant life. Instead of traveling throughout the entire county, you can see it all in one place at the Crockett County Interpretive Trail. This small park contains an array of plant species native to within 100 miles of Ozona, a rainwater harvesting exhibit, and a wildlife viewing area. Explore thousands of years of Crockett County’s history at this museum located within a building that has been a Methodist Church, hospital, and courthouse annex since it was built in 1926. 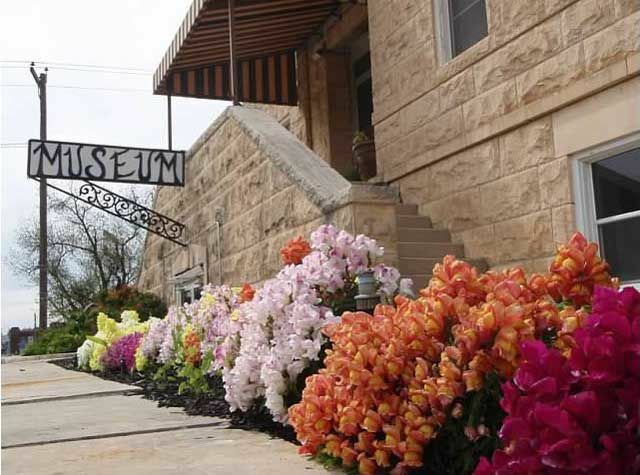 Browse the three-floor museum’s variety of exhibits that features everything from mammoth bones and Native American artifacts to antiques used by Ozona’s earliest settlers. The museum is open Monday through Saturday except for major holidays. This historic 19th-century home was one of original buildings in the town of Emerald, Crockett County’s first settlement. Emerald lost its bid to become the county seat to Ozona in 1891, and within a few years it became a ghost town. Many of the town’s residents, and their homes (including Emerald House), moved to the new county seat. Today, the home resides off of 11th Street on the east side of town as a living piece of the county’s earliest history. Bring your ATV, dirt bike, or off roader to Escondido Draw, a 3,400-acre recreational area full of picturesque trails and the gorgeous terrain the Hill Country is known for. Explore the more than 35 mile single track dirt bike trail, or traverse the 23 miles of scenic paths for ATVs and off highway vehicles. Along with these trails, the area contains primitive campsites and RV spots if you want to extend your stay. The park is open to the public, but is only accessible to non-members during work weekends. Make sure to check their website before planning your trip. In its heyday in the 1850’s, Fort Lancaster was a 25 building encampment on the very western reaches of the Texas frontier. The soldiers that were stationed here provided escorts to mail carriers and wagon trains that were en route to California. Today, you can tour the ruins of the fort and see where a blacksmith shop, hospital, and bakery once stood. While you’re exploring the 82-acre complex, stop and appreciate the beauty and solitude of the Hill Country. Rocky limestone cliffs, sweeping valleys, and a narrow metal bridge perched above the pristine blue water of the Pecos River. 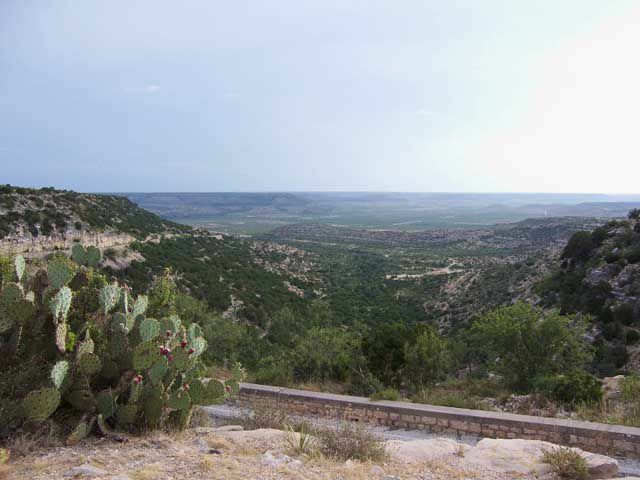 See all of these stunning sights on what’s known as the Lancaster Hill Scenic Drive, a route that starts at I-10 west of Ozona and follows Highway 290 south to Sheffield. Don’t miss a stop at the picnic area and observation point that overlooks an expansive valley from the top of a ridge. The pioneer families that struggled to build a life on the frontier are memorialized by this bronze sculpture crafted by a native of Crockett County. To see it, head to the center of the Ozona Town Square. One of the best ways to enjoy the Hill Country is to simply enjoy the great outdoors, and Twistflower Ranch is the place to go in Crockett County. Here you’ll find hiking and biking trails and places go for a swim. 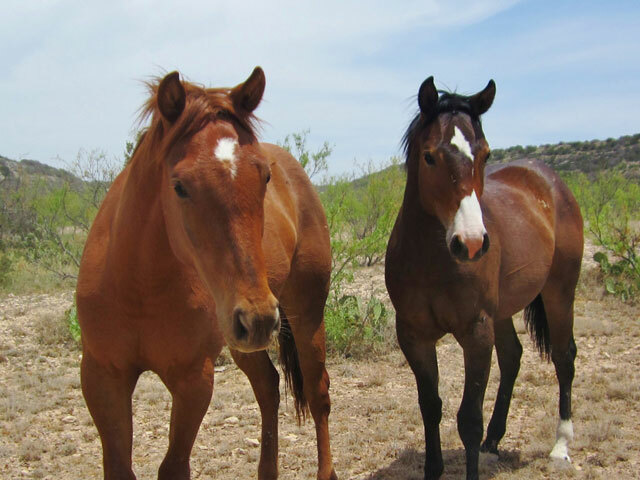 The ranch also has an abundance of flora and fauna, including more than 100 species of wildflowers. Stay into the evening and you’ll be treated to a spectacular night sky since the ranch is 20 miles away from city lights.